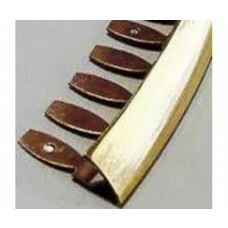 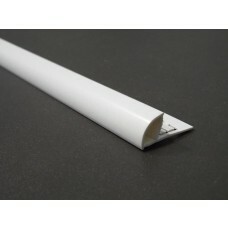 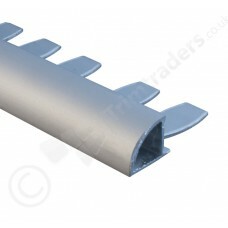 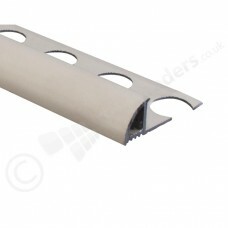 Round Edge Tile Trims are also known as Quadrant Tile Trim or Bullnosed Tile Trim, and can be used on walls and floors. 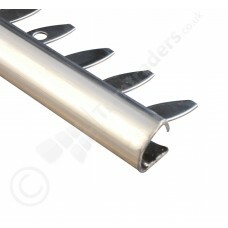 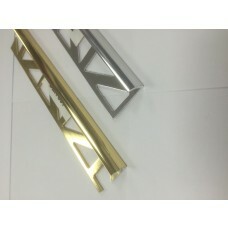 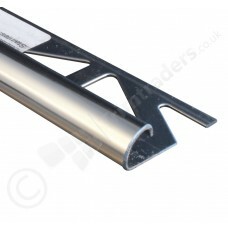 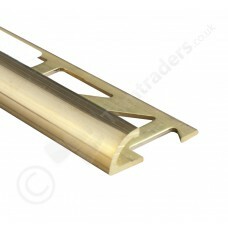 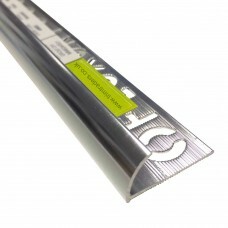 They are available in a variety of finishes, from Stainless Steel and Aluminium, to Brass and PVC. 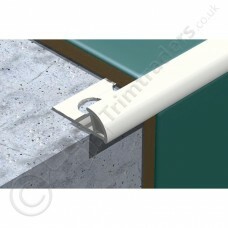 On walls, they are generally used on external wall corners, where the installation requires a softer finish, instead of a hard corner. 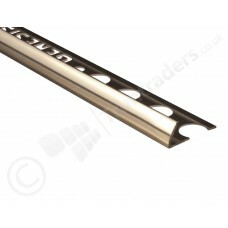 They are most often used in this way around window reveals in kitchen and bathroom installations, due to the many finishes and sizes available. 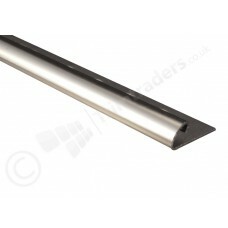 Again, these are available in a Mill Finish, but this finish is a bare metal finish and is not usually used for decorative purposes.They can also be used to finish the edge of tiling in order to cover up an unglazed edge. 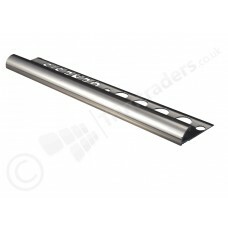 On floors they are used as transitions from one height to the other, or are sometimes used as edging strips or hosings for steps and edges.